Ball bearings are what make things spin and in X-Jets hose swivels and thrust nozzles, the life of the friction free hydroflight party. Hard round balls that ride in precision machined channels, taking up all the stresses and force and letting you steer and fly with precision. The balls have to resist salt water corrosion, metals are out of the question, so the first choice is Acetal, POM Copolymer (Delrin®) (Celcon®) (Acetron®) engineering plastic with great wear resistance. What if you want to spring for the next level of friction resistance to alleviate the occasional sticking of the action of your board or jetpack when you have grit in? Ceramic ball bearings are a step up in performance, they are hard, harder than almost any other materials. They are twice as hard as stainless steel and an in an entirely different class of hardness than conventional Acetal bearings, incomparable. Hard means they roll easier, grind up sand granules and never need lubrication, completely resistant to absorbing water and will never corrode, will never wear out. Ceramic bearings are performance items and are expensive, for the rider looking for every advantage, they are unbeatable. Ceramic, M8 (actual 7.93mm), G5, 128 pieces in a set, for the Jetblade by X-Jets. $620, free shipping. We came across a new term the other day the “high heel effect”, discussing the relative height of the base of the foot over the centerline of the nozzles. Flydive positions its one key tech, that the lower foot mounting points reduced the “torque” that can overpower a rider’s ankles. This is the same erroneous basis as the now infamous spontaneous death spiral meme spawned by our esteemed competitor. Jet forces “overpowering” the rider and leading to a dramatic crash. Let’s review the claim in it’s stated form. DRS Tech™ stands for Dynamic Response & Stability Technology, it’s unique to FlyDive and solves two very important performance challenges. In other boards, foot positioning higher above the bearing rotational axis creates stronger torque on the ankles, a feeling we call the “high heel effect”. Balance corrections from a higher platform feel heavier on the ankles for both beginners and pros alike, and can overpower the rider, causing a crash. Additionally, a higher foot platform raises the center of gravity of the rider, and contributes to over-committed body lean and stability challenges for beginners. With FlyDive’s proprietary DRS Tech™ design, the feet are placed lower and closer to the rotational axis than any other board on the market (half as high). This empowers beginners to make small balance corrections easily and gain stability naturally, while advanced flyers enjoy better response for quick directional changes during tricks. DRS Tech™ endows the X-Board with the widest performance range available, making it the one board the entire family can learn on quickly, and progress all the way up through advanced skill levels. Let’s talk about the myth of the HiHE, high heel effect and it’s evil big brother, the SDS, spontaneous death spiral. The terminology is the same, although downplayed from the hysteria of the full blown death spiral mythology. The technical term for flexing at the ankle is dorsiflexion and plantar flexion. Lifting your toes and pointing your toes down. the key movement in walking, standing and naturally, hydroflight jetboards. Stratospheric is always looking for more power and less cavitation in hydroflight power channels. Strato looked at the options and listened to the discussions and inputs from all sources and research through the historical records. Applying the theories to jet ski powered water jetpacks and modelling them in three dimensional computer software and then running high powered water flow simulations to optimize the results. X’s being able iterate, modeling new geometry and re-run simulations in a cycle resulted in a tuning of the channel shape, split and the structure of the chambers for an optimized flow. Two channels, one result, a more streamlined water flow with less mixing, turbulence. Cleaner power. X’s new 2016 Dual 180 splits the water flow coming out of the pump into two streams around the U bend, minimizes power robbing intermixing, guiding through the 180 degree turn toward the front of the ski, and seamlessly recombining the flow into a blast directed at your ongoing conflict with gravity. Look at the sculpted geometry, this is what sets apart X from the rest. Design is what we do, design is our strength and experience, combined with decades of CAD experience in surface modeling. The ability to sculpt 3D surfaces into smooth water flowing channels. Look at the smooth geometry inside and out, this is what water loves to slide against! To prove the theory in practice, we took some big blocks of billet aluminum alloy, had our CNC machinist honed out the first of the new dual channels for real world testing, welding the two shells together and attaching CNC milled flanges with our marine grade 316 alloy hardware. We gave sent the Dual 180 to Ben Merrell for testing at the Hydro Jam in Austin Texas. Boom! Ben got out of the water shaking with adrenalin. Power in spades. Once again we saw the commitment and dedication of hydroflight athletes involved in the recent Hydro Fest competition in Nevada. People traveled from across the US (and beyond) to compete and show their stuff. We know we are lucky to be able to create hydrosport gear and be able to participate in such an exciting, fun growing sport. However, we seem to be using use the word “serious” a lot these days when we talk about the way we do the business. Hydro sport is maturing, opening up and we are finally getting the chance to openly compare different products, company approaches and gear. We treat our product development seriously and know that all of the people that purchase and ride hydroflight sport gear feel the same. We value your choosing X-Jets and want to support you in your pursuits and businesses. X-Jets premiers the hydro splat logo. 3D to the core, splat to the action. Hydroflight sport gets the continuation of the real revolution. Chrome seriousness and hydronomic frenetic extremity. Stickers available. Don’t get it tattooed. X design born in the USA. Hydroflight for life. The China Team video from 2015 in Qingdao, when they got their first couple Jetblades after using the French brand for the past few seasons for shows. They love the durability and the construction and have enhanced the team cooperation with X for the summer of 2016. China is going to be a great model for what the future of hydroflight sports will hold in terms of training and competitions integrating with boat and “aquabike” races. 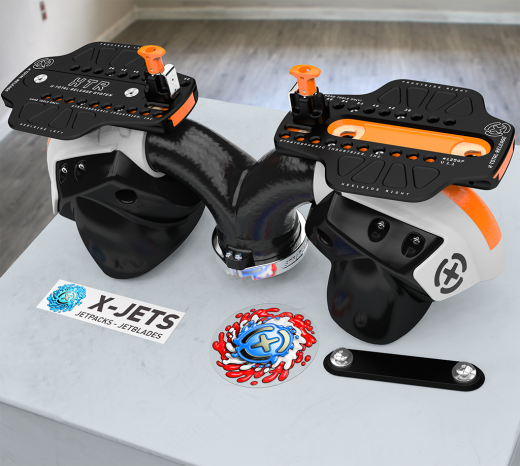 X is proud to be supporting team riding Jetblades and X-Jetpacks and the looking forward to sharing the developments as the season progresses. Good design that allows anyone to participate in the sport. Explaining the technology in clear, concise and free from massive exaggerations. Selling product and accepting payment only when the product is finished and ready to be delivered. No deposits, no prepayments, no months away promised and broken delivery dates. Hydroflight, as any flight based sport has risks. We are determined to do everything we can to make it safer. Flying over the water you need complete trust in your equipment and your connection to it. However in an emergency, the quicker you can get out away from it the better. This is a common thread through sports, from car racing to skiing to paragliding. The XTR Total Release is the next step in addressing the safety needs of the jetboard community. We had one main requirement as the brief, give the ability for a first time user to exit the board as quickly as possible with as few chances for hang ups as possible. Such emergencies can be simple or complicated. A first time user might just want to be free of the board. The hose can get caught on an obstruction under water and start to tug the user under water when pressurized by the jet ski. An unpowered jet ski and rider in flowing water can get caught on a bouy and the rider and the ski can be dragged under due to the current forces. A boat passing between the ski and the rider can catch the hose and drag the rider. The jet ski could sink (unlikely given floatation foam inside). Lots of things we haven’t thought of, in short, there are times you want to give the rider the possibility of a quick out. Let’s start with a controversial viewpoint, freestyle in any sport is fundamentally boring to watch and does not build an action sports audience for the future. Ouch. We know it hurts. What freestyle athletes do is amazing, it truly is a great level of talent. The level of commitment, training, involved are beyond compare, 99% of participants in the sport will never be able to attain the level of what the top 1% pull off. We do not question that a bit! What we are saying is that it is necessary to innovate on the very nature of hydroflight competitions themselves. Take the time invested in training and help to turn the sport into more than a passing fad. Gymnastics, skateboard freestyle in a parking lot, ski freestyle, all requiring great commitment and preparation, remain boring to watch when compared to interactions with a dynamic environment. There are only so many flips that a viewing audience can watch before flip fatigue sets in. Audiences are engaged for the first few minutes, and then start to fade away. In other sports, the participants themselves, once the boredom of the routine has set in, have sought out new challenges. Skaters raided empty swimming pools and then built ramps and urban skaters utilized the very urban environment that surrounded them. Parks, rails, benches became fail game. New forms of expression emerged. The added risk of judging abilities and limitations as well as adding imagination and creativity to a three dimensional riding environment made everything new and engaging. Stratospheric, X, develops solutions and innovative designs for the field of sports. We know that the future of hydro is tied to participating and building audiences and bringing new people into the sport. A big part of this are competitions, interesting to watch competitions. One of the things that we are working on are inflatable shapes that can be used as safe obstacles to illustrate the edges of riders abilities. 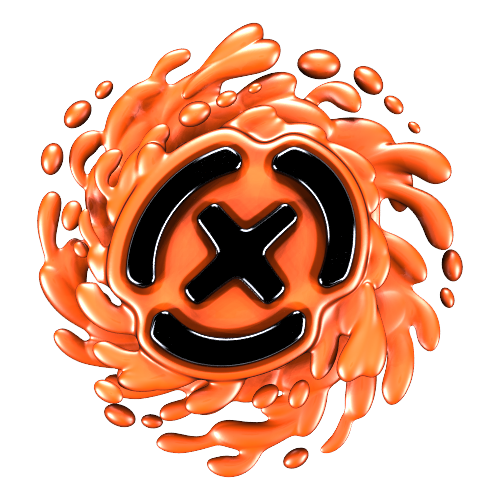 We call the first developed shape a “Jaxx” a shape based in game history blown up to a superhuman scale. No matter how you flip it, it lands on three legs and allows for both stability and flexibility to flip to a new position. We have had one set of rider experiment with version 1.0 and we built version 1.1 for the Session One event in Florida. We have a longer range view of this sport and the path to an interesting life that will attract particpants, viewers and sponsors. Freestyle is a technical expression but technical movement without restriction is often viewed as repetitive and runs out of viewer engagement quickly. The Merriam-Webster dictionary defines a fad: “a practice or interest followed for a time with exaggerated zeal “. Could that apply to hydrosport? What causes a fad, to fade? Most often, it’s the lack of innovation that causes a fad to lose appeal or be replaced by new, more interesting things. Sometimes safety concerns also cause people to abandon the latest fad. As hydroflight equipment professionals, and active participants in the hydroflight industry, we never want hydroflight to be considered a fad and lose its appeal. We don’t want hydroflight to appear to be for extreme athletes only, or have other activities to seem more enticing to current fliers and potential fliers visiting the water. We don’t want to become complacent and stop innovating – either as an industry or as individuals. We want to keep the real spirit that this is a growing and reactive sport filled with people that care about the growth and evolution of hydroflight. People fly through the air propelled on jets of water! How awesome is that? We are certain there is a huge future ahead for all of us to work towards, lovers of flight, athletes with visions of fame, business owners and everyone that appreciates the wild things that bring smiles to faces and awe to viewers. To keep hydrosport vibrant, we must be forward thinking and really understand the needs of today’s players. We must offer products and services that are the best experience possible, and can compete with other recreations for customer attention, loyalty and business. We have to build on the foundation of the sport with innovations that make the sport easier to practice, safer for everyone involved, and most of all, expand on the promise of fun. We’ve made it past the first bump with a new set of innovation and solutions and competitiveness that is benefiting all of hydrosport. As an hydrosport participant, your knowledge of the HydroFlight industry and the hydrosport market are crucial to your success. It’s important for you to stay informed, pay attention to your customers, and strive to be at the innovation forefront. X is here to encourage development in the sport and the promotion of the future. We want to push forward the sport, we listen to you, we build products for you and we work to make sure that tomorrow’s hydroflight is a better experience for all. Hydroflight is serious, in all kinds of ways. Serious fun most of all, and a serious pursuit in the aerial marine environment. Stratospheric Industries, aka X, takes every aspect of hydroflight equipment production seriously. You see it reflected in how our products look and how they perform. We are building ‘gear’ in a gearhead tradition and we build it the best with no compromises. The sports equipment that we love is all serious, tech and cool, mountain bikes, snowboards, skateboards, diving equipment, skydiving equipment, cars, the list goes on. Tuned by generations of designers and built to excel for the tasks at hand, defying gravity and creating thrills. Tough dependable materials are more expensive and require greater skills to produce, but are worth their weight in gold when your pushing the boundaries of what is possible. It is a choice, a fork in the road that manufacturers take, the high road and the low road. There are quicker, cheaper methods to mass produce products, we have always been able to look back and say, we built it right. There has always been mass produced throwaway gear available at a cheaper price. Cheap gear doesn’t last the test of time and worse, can let down riders in the middle of a run. We know the coolness of the sport and want the gear to be just as cool. Session One video edit by Blaine Jeffery of H2Ro Magazine. Video shot by Fernando Morales of FocusFL.com, Nice work capturing the cooperative vibe of the event. Come on Miami’s water and board onto the adventure of a lifetime with AquaJet Miami! After booking online you’ll board onto our luxury yacht! Get a tour of the Miami’s bay and finally experience a safe and exhilarating flight on our Jetpacks! Experience of lifetime – Fun Guaranteed for everybody! This video by Rush Bragg as mentioned in the Facebook discussion shows you how to prepare a Pro Series Flyboard for “professional” use. As contrast, keep in mind that all Jetblades and X-Jetpacks come out of the box ready for professional use and are designed with the rigors of real world use in mind. Jetblade inserts are CNC machined 316 stainless steel from our first model on-wards, with a 100% service rating, meaning zero inserts have ever failed. One more note, all of the modifications shown in the video, as well as any professional use, most likely immediately void the warranty on the Flyboard as it is intended for leisure use only. Another discussion in the hydroflight group on Facebook about the article published on Aquafly with a side by side comparison of the Jetblade vs the “Pro Series Flyboard” from Zapata Racing. Bobby Vance of Aquafly, formerly a Zapata Racing distributor and now a representative of the Jetblade in Texas. 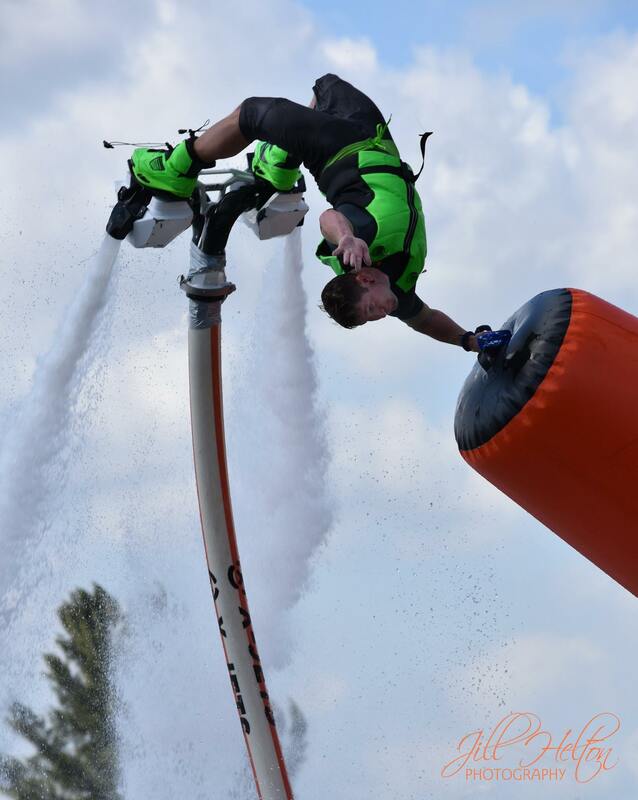 Bobby has a lot of experience with the first generations of Flyboards and the new “Pro Series Flyboard”. He took the time to make a parts comparison and a description of the process of disassembling the two products for service. For the full article, see it here. Mike “Thrasher” Traster, Jetpack Master. Ben Merrell, the original pro Jetblader. Jake Orel, wide stance Jetblade, cutting loose at Session One, Pompano Beach, Florida. Hunter Verlander, Team Aquafly, flies the Jetblade in custom green. Hunter Verlander won the “Hydro Card Draw” round at Session One. Congratulations Hunter, you flew with precision and nailed the points. The amount of time for each round is 90 seconds. The draw will be 4 or 5 tricks, we keep drawing at 3 points and stop at 4, but if the last draw is a block move then it becomes a 5 point draw. The draw is per round so we will have 3 draws for our event and every competitor does each of the draws one time. Round 1 is completed before round 2 starts and round 3 will start after round 2 is complete. The tricks must be performed in the order of the draw. Competitors have to be able to memorize the draw, decide what elevation the trick should be done at to be in position for the next trick, and they have to find the fastest transition from one trick to the next. All board sports start off on flat ground and inevitably discover obstacles and environments. We decided to push this with the development of the Jaxx and give a chance for the riders to explore “new horizons”. The element of a big shape in the middle of a lake can be used as a starting point or reference for other tricks. During the event briefing and the practice rounds, we spec’d that the interactions with the Jaxx would be the thing that gets rewarded. “Pull a perfect triple 20 feet away from the Jaxx, get zero points. Involve and interact with the Jaxx”. At first the Jaxx was difficlt for some riders to warm up to, it is outside of the comfort zone. Cooper Riggs inspired everyone by leading the attack on the Jaxx and breaking the ice. Once he opened Pandora’s box, everyone started to flow. We are impressed by the way the Jaxx was explored and exploited. The winner was Todd Sawisch, a “veteran” rider, he showed that creativity and aggression are the key to impressing the other rider/judges. For pure style, Scotty Knemeyer pulled a handplant for one of the more iconic board sports photos. A first for hydrosports, we are sure we will see much more to come. The Session One Jaxx are built from some of the same construction techniques as RIB boats that are designed to take abuse. We weren’t sure how much abuse they could take, so we asked the riders to start off slowly. By the end they were coming up with every way imaginable to do tricks over, wrap the hose around and flip the Jaxx in the course of the judged rounds. The Jaxx held up to the whipping hoses. With ne unknowns, safety is key however, and this is stressed to the riders. Dean Lavelle has prepared for a few different scenarios and had chase skis on standby equipped with bottles of SpareAir that can be used if the rider gets caught upside down. Also key key to any safety setup are lace cutters to quickly remove a rider from his boots. We are aware that we are trying something that is outside of the norm and the full potential and therefore risks are not yet fully clear. If you decide to build upon the Jaxx concept, as we intend to, please do so with caution. All sports start with, or eventually develop a “soul”, a connected set of underlying themes and principles driving the participants. The soul can be hidden, uncovered in steps and emerge over time, it can also become co-opted, molded by motives and commercial interests. We saw unusual trends in hydro sport, we talked to people about the directions, X could not see a healthy hydro soul clearly emerging. Knowing that a strong, fun soul is key to the survival and vitality of any sport, we wanted to find and help to build the soul of hydro sport. We embarked on the search for the soul of hydro sport. We call this the Hydro Soul Project. We knew the ingredients we needed, a wide variety the best riders in hydro sport, a great location where we would have the freedom to play and explore, the time to relax and discuss what we discovered, good machines to power us, great equipment for us to fly, and some new tools to play with. We invited 12 of the best riders on jetpacks and jetblades and set up with our friends in Koh Samui Thailand, the historical test flight home of Stratospheric. We know how cool Koh Samui is both on and off the water, complete freedom to relax, play and evolve. Build the environment, keep the atmosphere open, free from competition, dogma or favoritism, this is about the riders and giving them the tools, time and freedom to explore. We brought along a killer video crew to help us record this moment and get close to the action. And naturally X was there to listen to the feedback and evolve. Tens of thousands of kilometers flown from across the globe, the group assembled after midnight for the first time at a hotel near the airport in Bangkok, a recon team headed down the road to obtain a case of beer, had a very short night, took the short morning flight to Koh Samui. Arriving to the open air terminal, the search for the soul of hydro had begun.